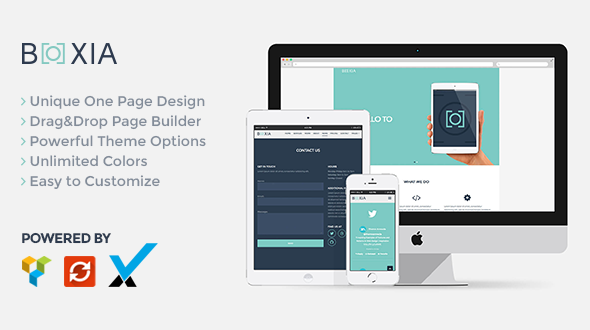 Boxia is a modern, clean and responsive one page template. Powered by Bootstrap, Visual Composer, Revolution Slider, Redux Framework. This theme includes filterable portfolio, pricing tables, live Twitter feed, CSS3 animations, and plenty more features. Demo content is inside the download file. Please contact us if you have any ideas to improve the theme or if you find problems in the theme.